Diego Maradona, a retired professional football player, has vowed to sue Konami for using his likeness without permission in Pro Evolution Soccer 2017. Konami say they had permission, however. There’s nothing like playing a football game with your pal on the same team. Check out our list of the best co-op games on PC for similar thrills. In a post on Facebook, the Argentine star said his lawyer would “initiate appropriate legal action”. He apparently only realised he was in the game a couple of days ago. 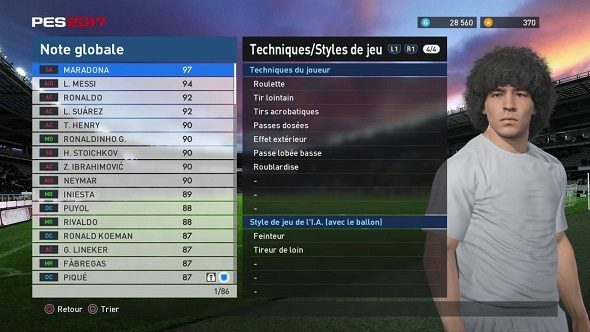 Maradona shows up in the game in myClub mode as one of the ‘Legends’, where he’s joined by other retired players such as Ronaldinho, Thierry Henry, Ronaldo, and Gary Lineker.